You can also purchase some of our most popular cartridges below via PayPal or call us directly at 1-877-523-7800. 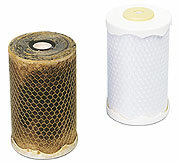 To see how often you should replace your filter cartridge, please refer to this replacement frequency chart. 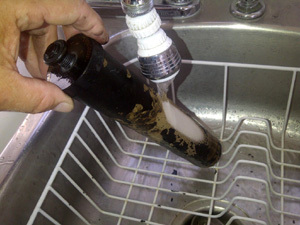 If you have a water purifier from another company like Simple H20 or Carico we can save you money on the replacement. 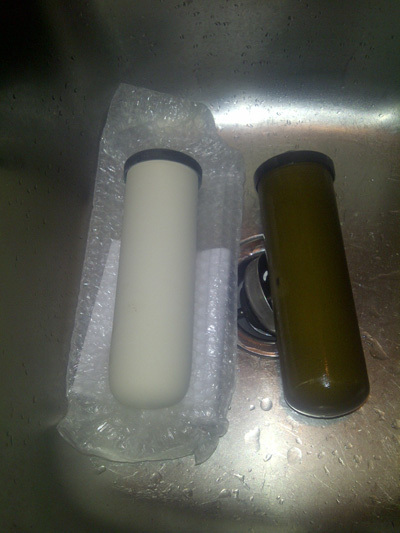 Q: If I have a water filter from a different company can you supply my cartridge? A: We can supply almost any type of cartridge. Just email us the model number and we will check if we stock it and if not we usually can find it for you. 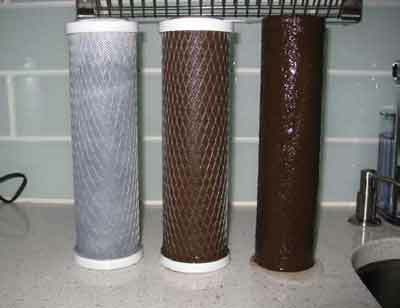 Q: If I use less water than the amounts indicated on the chart, will my filter cartridge last more than twelve months? 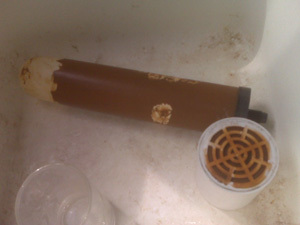 A: Due to potential bacteria growth, once the cartridge filter becomes wet, it must be replaced at least every twelve months, regardless of use. Q: What if I sign up for email reminders and then would like to unsubscribe? A: Information for unsubscribing will be sent to you in every reminder email. Or just write us to unsubscribe. Q: What do I do if I need to edit the information I submitted when signing up for email reminders? A: You can simply sign up for email reminders again with the same email address and update your information. Your old information will automatically be replaced. 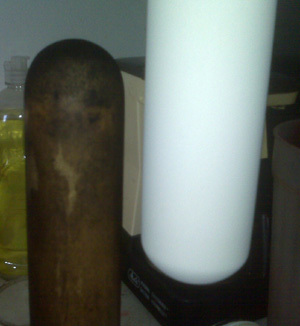 Q: I'm currently signed up for email reminders for both the drinking water and shower filter replacement cartridges. How do I unsubscribe from only one of these reminders? A: When you unsubscribe from email reminders, you will be given the option to maintain either the drinking water or shower filter email reminder. Q: How will I know when my cartridge needs replacing? A: You usually can tell by the color or when the flow rate slows down. You can also have your water tested or order our 'do it yourself' water test kit. How will I know when my cartridge needs replacing? 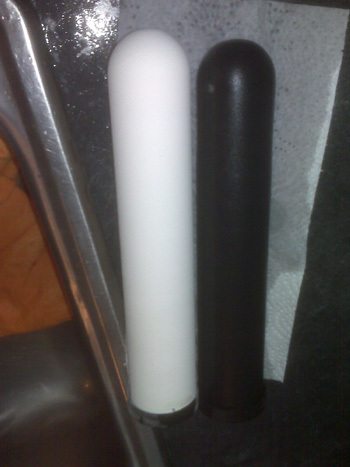 You usually can tell by the color or when the flow rate slows down. You can also have your water tested or order our 'do it yourself' water test kit. Click HERE to order one. A more simple way is by taste or smell. Here are some images of dirty cartridges recently replaced. It's nice to actually see what you did not have to drink.